Circular Road, Muzaffarnagar, (U.P.) India. Reshu Advertising Pvt. Ltd. is an ISO 9001:2000 Certified Service Provider of Outdoor Advertising Services in the entire North India i.e. West U.P. and Uttarakhand regions. RESHU means Rise on the Earth Shine in the Heaven always with Unity. We are in this business since 2nd September 1982 and are widely spread over Uttar Pradesh and Uttarakhand, offering thousands of eye-catching Hoardings Advertising, Unipoles Advertising, Gantries Advertising, Kiosk Advertising, Traffic Trolley Advertising, Independent Hoarding Pole Advertising, LED Lights Advertising & Newspaper Authorized advertisement booking center. We design, manufacture and install these Outdoor Advertising Media as per the specific needs of the clients. For our unparalleled performance, we have also received Star Category Award from Directorate of Industry, Uttar Pradesh. The infrastructure of the company is well-equipped with the modern machinery to provide the clients with modern means of advertisement. We also offer services for Brand Promotion through print, outdoor and electronic media. Moreover, we produce as well as install creative and effective Outdoor Advertising Products, for the successful promotion that leads to better revenue for our customers. Our highly organized design facilitates have the required resources to quickly conceptualize the product and convert into the finished design. 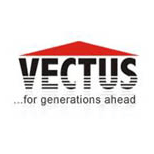 My company ‘Vectus Industries Limited’ manufactures various kinds of plastic moulded articles for household and agricultural purposes. They include plastic water tank, rotational moulded tanks, blow moulded tanks to name a few. All these articles supplied to all over the country. Reshu Advertising Pvt. Ltd has very successfully advertised my products in the North India through its various ways - hoardings advertising, unipoles advertising, gantries advertising, independent hoarding pole advertising etc. As a result, I have a huge clientele towards my products. 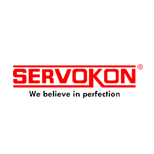 Servokon manufactures and exports a large range of power condition products - distribution & power transformers, special transformers, servo voltage stabilizers etc. I, the proprietor of this company, am highly grateful to Reshu Advertising Pvt. Ltd, which has propagated qualities and services of my products in North India through its various means of advertisement. Because of this, my business has climbed the pinnacle of success. 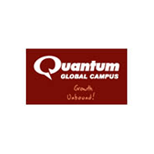 Quantum College is one of the most prestigious institutions in the country. It offers various courses - B. Tech, M.Tech, BBA, MBA etc. My college has gained immense popularity among the students in the country with the help of Reshu Advertising Pvt. Ltd, which spared no pains in advertising my institution. 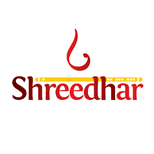 Shreedhar Milk Foods Ltd is a renowned is dairy firm. It processes liquid milk to yield various types of dairy product - ghee, skimmed milk powder, full cream milk powder and several other dairy products. The credit goes to Reshu Advertising Pvt. Ltd, which made my dairy products so famous in West U.P. and Uttarakhand region through its advertisement that most of the clients line up to buy my products. I am indeed very proud of it. 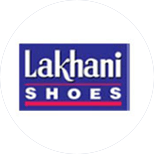 Lakhani Footwear Pvt. Ltd is one of the most famous shoe manufacturers in the country. Its products include Sports Shoes, Beach Slippers, PU Injected Sports Shoes etc. The company has really carved a niche for itself in the world of advertisement of products and services. I wish it all the best! 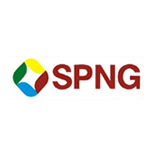 SPNG Group is a manufacturer of dyed and grey synthetic yarns- Polyester, Polyester-Acrylic, Polyester-Viscos, and Acrylic-Polyester. The horizon of my business has expanded considerably when I associated with Reshu Advertising Pvt. Ltd that made my products known in West U.P. and Uttarakhand region through its various means of advertisement. As a result, I have a very large clientele. I am highly indebted to it. 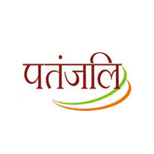 Patanjali is a renowned Indian FMCG company that manufactures minerals and herbal products. Initially, Ayurveda products were not so much people among the people because they would think that these products have slow and tardy effect on them. But, Reshu Advertising Pvt. Ltd made my company so resonant with its advertisements that people have started having a faith on my products. I have no words to express my gratitude to this company. 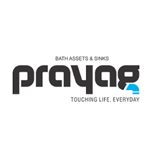 Prayag Sanitary has been making waves in the business ever since its establishment in the year of 1986. It manufactures, supplies and exports bathroom fittings, kitchen fittings, faucets, stainless steel kitchen sink, flush cistern, seat cover, bath assests, showers, stainless steel stinks, droplets, sanitary ware & hardware. Reshu Advertising Pvt. Ltd has given me a new direction in the world of business through its different advertising methods. I would encourage any entrepreneur to avail the services of this company for propagation of their products and services. All rights are reserved © 2015 | Reshu Advertising Pvt Ltd.